Maven Alexander wants to be normal, but being normal isn’t easy when you’re the only half-pixie attending a high school for humans. Cotton candy pink hair, tends to stand out. Her only chance to get out of the human school, is for her pixie half to take over, but that’s just not happening. Afraid she’ll be stuck living as a human forever, Maven tries very hard to fit in, but things don’t seem to be going her way, until she wanders into a curious little shop called “Petunia’s Peculiar Particulars” and buys a magic ring that the proprietress says can help her in a time of great need. The only problem is, the magic of the ring is subtle. Did Maven just buy her salvation, or did she just get ripped off? 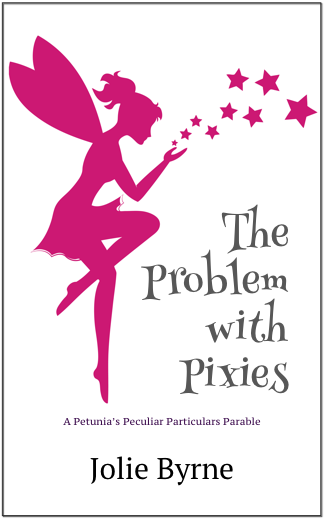 Find out in “The Problem with Pixies!” The first installment in the “Petunia’s Peculiar Particulars” series.